This is a set of 6 handmade maple leaves with 2 acorns. The maple leaves range in size from 3 inches to an 1 1/4 inches and the acorns are 1 1/2 inches. This is a set of 10 handmade ceramic oak leaf tiles. 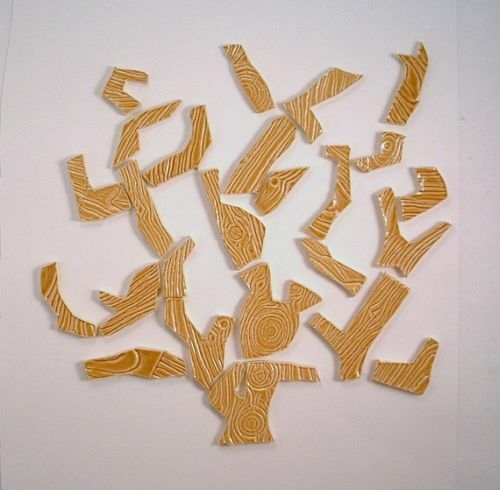 This is a set of 25 handmade wood grain embossed tree branch ceramic tiles. Tree trunk brown with embossed wood design. 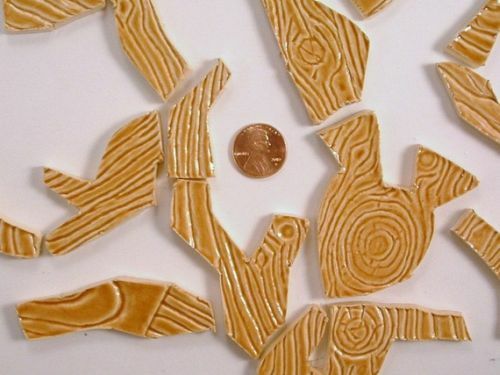 1 to 4 inch pieces, please refer to picture and use the penny as a guide for the size.